Government offices are often over-crowded by people who want to some service or another. Land revenue and registration department is one such department that offers all land registration, revenue payment, and mutation related tasks. 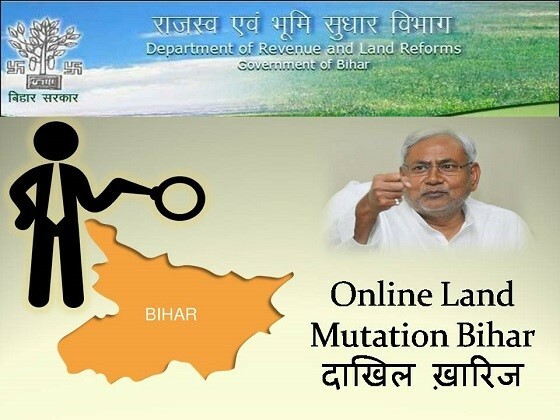 But Bihar government has launched a new site that helps residents of Bihar to log online and attain necessary services. The portal makes it possible for people to attain necessary documents without wasting hours at the government offices. With the assistance of this official portal, any normal service seeker will be able to upload registration related details. Apart from this, it is also possible for interested candidates to download necessary documents. What are the services available on the online portal? Bihar government is walking on the lines of digital governance. All state government departments are opting for modernization. Both state residents as well as government official will benefit from this portalized registration facility. Digitization of land records leaves no room for errors. With the new online portal, commoners will be able to search and access their land related papers. The new site offers people three basic facilities: “dakhil kharij” or online land mutation, “Apna Khata” survey records, and land registration related information. Who will be appointed for the maintenance task? How to apply for online land mutation facility? Land Mutation or “dakhil kharij” used to be a tiresome and time-consuming. But Bihar government made it hassle-free by launching a new portal. In case a person desires to opt for land mutation, then he/she can do it without any additional assistance from the site http://lrc.bih.nic.in/. When the portal opens, applicants will have to click on the link that is marked as “Online Mutation.” People will spot this link on the right side of the computer screen. This will trigger the site to open another page, from where the applicant can get necessary details. In case one desires to bypass these steps, he/she needs to click on the direct link http://164.100.150.10/biharbhumi/. This page will offer candidates access to all land registration and mutation related details. There is a separate link for checking each of these things. How to check Apna Khata records online? New Survey or “Apna Khata” is another step that has been taken by the Bihar government to document all land related details. All new land owners can check their account under this survey. For this, interested applicants will have to click on the link http://lrc.bih.nic.in/kpViewRoR.aspx. This will trigger the site to open a new page. Here applicants will get access to several fields. Necessary details like the district name, block number, mauhja and account number must be typed in respective fields. Once you input these details and initiate the search, people will attain necessary Apna Khata information. Land surveys were done by the Bihar government earlier as well. If any person desires to attain details, as recorded under those surveys, then he/she needs to click on the link http://lrc.bih.nic.in/ror.aspx. These records will be monitored by respective land department officers. How to check the property registration details? The Bihar government has another link that will offer residents access to their property or land records. In case any person wants to check land registration related details, then he/she needs to log on to the link http://www.bhumijankari.gov.in/Admin/AdvSearch/AdvSearch.aspx. When the main page opens, the candidates will have to fill in several fields. These include district and mauja data, circle details, seriol number of registration and other such information. Regular meetings will be held on Saturdays. These meetings will be attended by police in-charges, District Magistrates and SPs. They will coordinate with each other and ensure that all registration details are uploaded and maintained properly. Apart from getting all pertinent details on the official portal, interested applicants can talk to the customer care executives at any time. To do this, they need to call on the helpline number 18003456215. This is a toll free number, and no money will be charges for the call.